Memory foam mattresses are made from polyurethane cushioning, a dense, man-made material that was originally developed by NASA to provide extra support to astronauts. Now, it’s primarily used in mattresses and pillows. 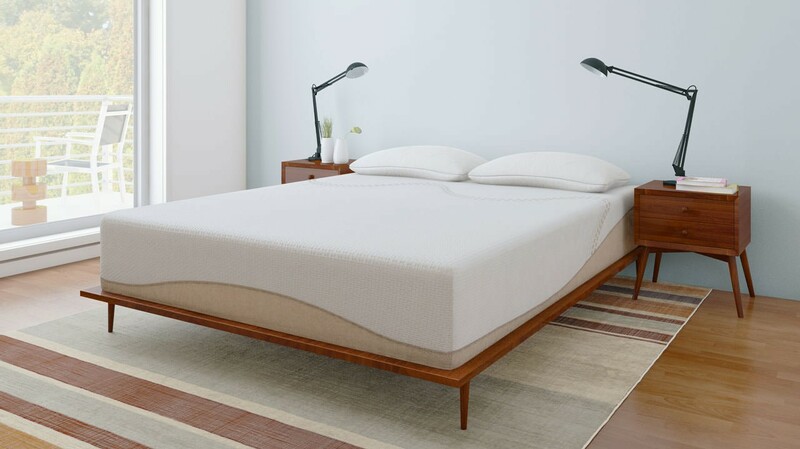 The original memory foam mattress by Tempur-Pedic was a huge success, but since its arrival over two decades ago, new innovations, materials, and many new memory foam mattresses have entered the market. This can make it difficult to choose the perfect memory foam mattress, so we’ve created this list of the best memory foam mattresses available today. Memory foam mattresses are known for their “sinking-in” feeling, or a feeling of being cradled. This is due to viscoelastic cells in the material which remember the shape of the body and create a perfect mold every time a sleeper lies down. It doesn’t matter the body type; memory foam is extremely dense and can support all shapes and sizes. The firm support and form-fitting technology provided by memory foam make it ideal for back, neck, and joint support, and its density also makes it naturally hypoallergenic. Although all memory foam mattresses offer these benefits to varying degrees, they are not all created equal. There are some important factors to keep in mind when shopping for a memory foam mattress. Memory foam mattresses are different from classic spring mattresses and latex mattresses in large part because of their density. Memory foam mattresses are heavy, thick, and made entirely of one or more layers of dense foam. Support layer: The support layer is composed of high-density foam. This is the thickest layer and is found at the bottom of the mattress. Transition foam, or medium-density foam: This type of layer isn’t as dense as the support layer. It would typically go between the high-density base and a softer comfort layer at the top of the mattress. This creates a smooth transition from high-density foam to low-density foam, making the mattress more supportive and comfortable overall. Low-density foam layer: This type of layer is known as a comfort layer. These layers are found at the top of the mattress, as the low density makes this the softest feeling memory foam. Gel memory foam: Another type of comfort layer. Gel memory foam helps distribute heat evenly to provide cool comfort. Cover: The mattress cover may or may not be made from memory foam. Fabrics like cotton or polyester are also common in mattress covers. This is the final layer. Some memory foam mattresses contain many layers, but it’s important to remember that more layers don’t necessarily make for a better mattress. The key to finding a great memory foam mattress is in knowing its firmness. This is measured using an ILD (Indentation Load Deflection) rating, and will explain how soft or rigid the mattress will feel as a result of its different layers working together. The overall ILD rating, which is expressed numerically, identifies how many pounds of pressure are required to impress the foam down by one inch. A high rating of say, 50, indicates a very firm mattress, while a lower rating of 10 would indicate a very soft mattress. Remember to take the height and weight of any mattress into account as well. An extra-thick, heavy memory foam mattress may seem firm according to its specs, but if it has a low ILD, it will impress quite easily. Memory foam mattresses enjoy high customer satisfaction numbers, but that doesn’t mean they are for everyone. Everyone has different needs when it comes to getting a good night’s sleep. Here are some of the reasons one may choose to buy or avoid a memory foam mattress. Support: Viscoelastic foam provides excellent support for the back, neck, and joints. Low motion transfer: The density of memory foam doesn’t allow for much motion transfer. This means that a sleeper won’t be disturbed if his or her partner tosses and turns. Quiet: Memory foam isn’t springy or bouncy, so no creaks or groans come from these mattresses. Great warranties: Many memory foam mattresses come with warranties ranging from 10-25 years. Cost: Memory foam mattresses have price tags all over the board, but many top picks are reasonably priced at under $1000. Hypoallergenic: Memory foam is naturally hypoallergenic due to the materials used in its construction and its high density. High heat retention: Memory foam mattresses are less breathable due to their high density, which can cause sleepers to feel uncomfortably warm. Offgassing: This is a phenomenon caused by the breakdown of chemicals in foam mattresses. It can let off an unpleasant, chemical smell in new mattresses, though it dissipates over time. Longer break-in time: Memory foam has a high density and is designed to retain its shape. This will lead to a longer break-in period. Limited mobility: A softer memory foam mattress will have a greater “sinking-in” effect. This can make it more difficult to change sleeping positions throughout the night, or get out of bed in the morning. Heavy: Memory foam mattresses weigh more than other types of mattresses. What type of sleeper should consider a memory foam mattress? A memory foam mattress can be an ideal choice for any sleeper depending on their sleep style and the ILD of the foam mattress. Side sleepers require support for the shoulders and hips. A memory foam mattress with a low-to-medium density and an ILD rating of 20-25 is recommended for this type of sleeper. It’s soft enough for comfort yet dense enough to keep the body aligned. Back sleepers need a mattress that keeps the lower back aligned with the neck and shoulders. A medium-density memory foam mattress with an ILD of 25-30 is ideal for back sleepers. This type of mattress is dense enough to keep the lower back from sinking too low and soft enough to prevent it from elevating above the level of the spine. A slightly firmer memory foam mattress is recommended for stomach sleepers who need to prevent their spine from sinking lower than their shoulders and hips. These sleepers should look for an ILD rating above 30. This is the most common sleeping style. Combination sleepers change positions throughout the night and require a mattress that can accommodate multiple sleeping styles. A medium density mattress with an ILD of 25 should have the right blend of softness and firmness to support all positions. Memory foam mattresses are an especially good choice for sleepers who suffer from back, neck or joint pain, as memory foam is known to provide excellent support and to benefit spinal alignment. Sleepers who suffer from allergies may also benefit from switching to a naturally hypoallergenic memory foam mattress. As many as several million dust mites can make their home in standard spring mattresses and contribute to a sleeper’s allergies without their knowledge. Memory foam mattresses don’t allow for these intruders to nest and can therefore help alleviate indoor allergies. This list of the best memory foam mattresses on the market was compiled after carefully researching the data and specs of each mattress, as well as sleeper consultations and consumer reviews. Nectar is a direct-to-consumer memory foam mattress company that shares its name with its one mattress offering. The Nectar mattress is known for its comfort and versatility, while the company is revered for its customer service. The Nectar memory foam mattress is made entirely of CertiPUR US-certified eco-friendly foam. It is available in six sizes. Quilted cover: The cover is comprised of eco-friendly Tencel, which breathes and distributes heat for a comfortable, cool sleep. Comfort layers: The Nectar is topped with two layers of gel comfort foam. The first layer is comprised of 1” of gel memory foam. The second layer is quilted directly into the mattress cover to increase the effectiveness of contour and pressure relief. Support layers: 9” of support and transition foam provide a substantial base. The Hi-Core transition layer improves bounce. Firm support: With an ILD of about 30, this is an extra firm mattress ideal for stomach sleepers. Replaceable cover: The Tencel cover is removable, and if something happens to it, Nectar will replace it once for free. Sleep trial: An industry topping 365-day trial comes standard. Forever warranty: This warranty includes a 10-year guarantee of replacement and a lifetime guarantee of repair or replacement after the first 10 years. White glove service: For an extra fee, Nectar will set up their mattresses upon delivery and remove previous ones. For a more thorough look at the Nectar memory foam mattress, read our full Nectar mattress review. Save $125 off a Nectar Mattress and get two free pillows! 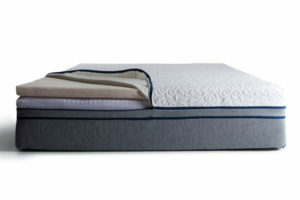 The Alexander Signature Series memory foam mattress was developed by Nest Bedding. Customers have reported that the Alexander Signatures Series provides a good balance between firm support and comfort. It is currently available in three models and eight sizes. Quilted cover: A 1.5”-2” quilted cover maintains a supportive surface with minimal sinkage. 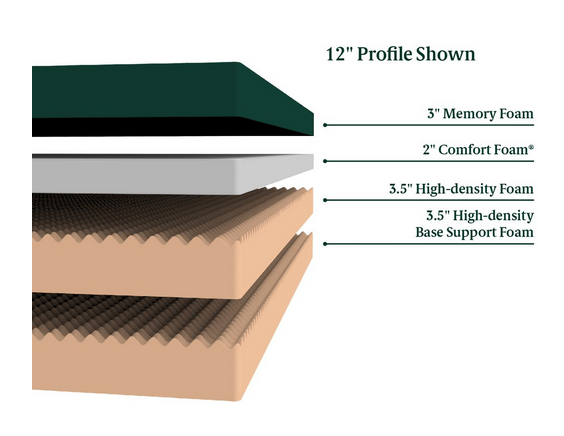 Comfort layers: 1” of visco foam provides a slight bounce that isn’t common in other memory foam mattresses. A top 4” layer of gel memory foam diffuses heat while providing soft pressure relief and support. Support layers: A combined 6” of dense base foam and transition foam furnish the Alexander Signature Series with proper support and solid structure. Edge support: Edge support allows for sleepers to rest comfortably even on the borders of the mattress due to its edge support base. This causes the mattress to depress to a lesser degree on its edges. No offgassing odor: Unlike other brands of memory foam mattresses, the Alexander Signature Series is not reported to let off an unpleasant smell once it’s out of the box. Warranty: An impressive 20-year warranty is included with purchase (twice as long as the industry standard). Comfort: Various firmness options are all reported by consumers to have good contouring to the body and relief of pressure. For more detailed information, read our full review of the Alexander Signature Series. Save $100 on an Alexander Signature Series Mattress! The Loom & Leaf memory foam mattress by Saatva is a leading direct-to-consumer mattress brand due to its comfort and eco-friendly design. This mattress is constructed using organic cotton and CertiPUR US-certified eco-friendly memory foam. This mattress comes in two models of varying firmness and is available in six sizes. Organic cover: The organic cover provides extra comfort and support to the lower back. Comfort layers: The first comfort layer is made from 2.5” of CertiPUR-US certified memory foam, which meets rigid standard for eco-friendly development. The second comfort layer is a 4 lb., 2” layer of medical-grade cooling memory gel which provides soft comfort and distributes heat to ensure a cool slumber. Support layers: A combined 7.5” of support foam and transition foam provide extra base support and firmness to this mattress. 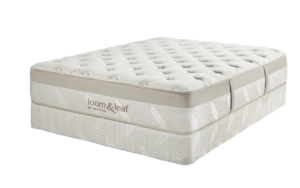 Extra support: Loom & Leaf mattresses are quite firm, ranging from 25-30 ILD, and are ideal for those who need extra support. Cool comfort: Soft memory foam and cool memory gel combine to create a breathable comfort that form fits to the body and provides relief to the back and joints. Low motion transfer: The firmness of the Loom & Leaf mattress reduces motion transfer, meaning sleepers won’t be disturbed by the tossing and turning of their partners. No offgassing odor: Eco-friendly foam is better for the environment and allows the Loom & Leaf to remain free of odors caused by offgassing. Customer service: A 120-day sleep trial is available for those who wish to try the Loom & Leaf, which is higher than the industry standard. Home delivery and professional set-up are offered by Saatva at an additional cost. Learn more in our comprehensive review of Loom & Leaf. The Amerisleep AS3 (formerly known as the Amerisleep Liberty) comes from the Scottsdale, AZ-based company Amerisleep. Their mission is to create eco-friendly memory foam mattresses that excel in comfort and support. 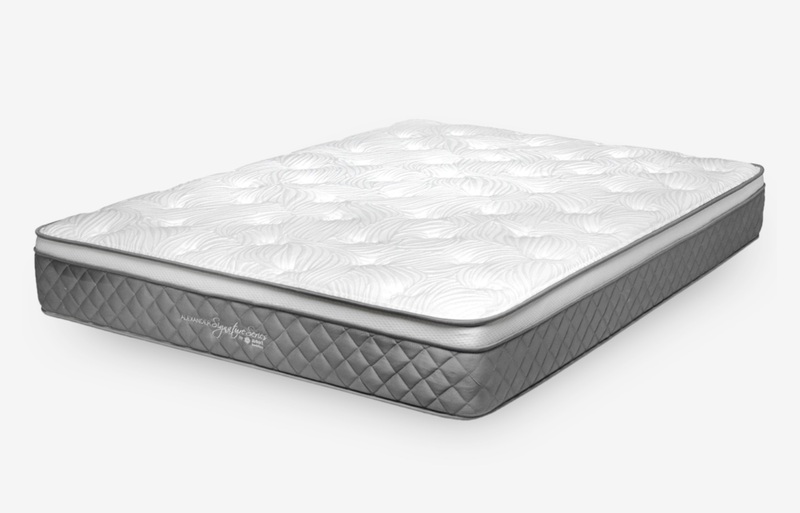 The Amerisleep AS3 is comprised of three layers of Bio-Pur memory foam that are constructed following the standards of the Clean Air Act. It is available in seven sizes. Celliant cover: A unique Celliant cover excels at providing breathability and heat diffusion for a cool, comfortable sleep. Comfort layer: One 3” comfort layer is composed of Bio-Pur, eco-friendly foam that is designed to be highly breathable and responsive, fitting the contours of each sleeper uniquely and providing support for joints, neck, and back. Support layers: 9” inches of support and transition layers give this mattress an especially strong base. Eco-friendly: All of the AS3’s foam layers are made from eco-friendly foam. Cool temperature: The unique Celliant cover provides excellent heat diffusion and breathability. This causes the AS3 to maintain a cool temperature much better than other memory foam mattresses. Low motion transfer: The AS3 has low motion transfer, making it ideal for light sleepers who share a bed. Comfort: With an ILD of about 24-26, the AS3 is firm enough to align the spine and relieve pressure while being soft enough to support side sleeping and pressure relief. Warranty: A higher-than-average 20-year warranty comes standard with the Amerisleep AS3. Check out our full review for a detailed breakdown of the Amerisleep AS3. 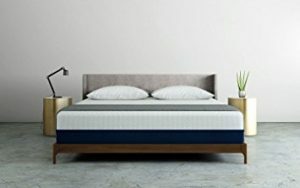 If this mattress is right for you, purchase the Amerisleep AS3 from Amazon. 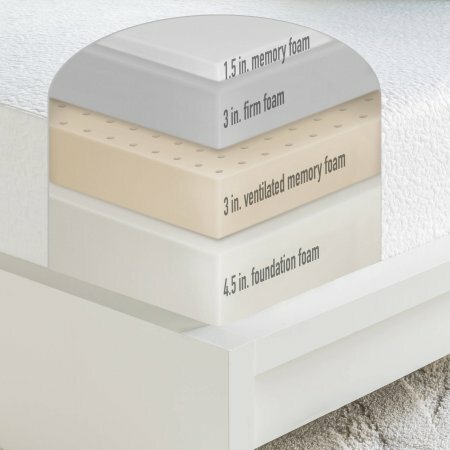 Novosbed is a unique brand of memory foam mattress that incorporates customization into its mattresses. 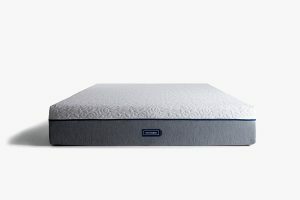 They understand that every sleeper is different, so they allow customers to add comfort layers to their initial three layers of memory foam to find their desired level of firmness and support. These additional layers are called Comfort+ layers and can be easily added by unzipping the cover and placing the layer on top of the mattress. Adding a Comfort+ layer is free of charge. Zip cover: The Novosbed cover zips on and off easily to facilitate the addition of Comfort+ layers. Comfort layer: 2” of aerated memory foam tops this mattress and improves breathability and heat diffusion. Support layers: Two layers of base and transition foam combine to provide a supportive foam base with the proper density to relieve back and joint tension. Customizable firmness: The Novosbed is available in three different firmness models which can all be adjusted with Comfort+ layers. This versatility makes it ideal for all sleepers. Ideal comfort: This 11” memory foam mattress is reported to be firm and supportive while still sporting the comfortable cradled feeling of soft memory foam. Sleep trial: The Novosbed comes with free delivery and a 120-day trial period in which one is able to try the standard mattress and can also request a Comfort+ layer after the first 30 days. Warranty: The Novosbed offers a 15-year warranty (higher than the industry average). Learn more about the Novosbed and its Comfort+ layer in our full Novosbed mattress review.